Author of diatribe against religious Israelis reduces scope of article, insists Jewish Home leader worse than leader of terrorist group. Journalist Yossi Klein retracted part of his Haaretz article in which he wrote that the national-religious population of Israel is worse than the Hezbollah terrorist organization following widespread condemnation of the article as hate speech. Klein said in an interview with Israel Radio and Radio Tel Aviv: "If an apology or statement of regret is required, then okay, take down the word Hezbollah ... If Yossi Klein knew that the word Hezbollah was so upsetting, he would easily have replaced it with another word." "If the word 'Hezbollah' is so disturbing, I solemnly announce that I am removing it from the article," added Klein. 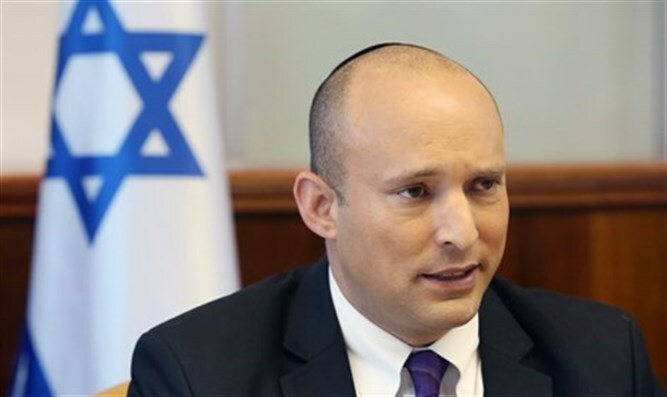 However, Klein continued to attack Jewish Home leader and Education Minister Naftali Bennett during the course of the interview. When asked in Bennett was more dangerous than Hezbollah leader Hassan Nasralah, Klein answered "Yes. Hassan Nasrallah may or may not have to be eliminated. We don't talk that way about Naftali Bennett, but he is much more dangerous because he cannot be harmed due to his power. He is stronger than Nasrallah in that he controls the course of government and the moves of the state in ways which I believe are causing harm to the state."